Smash International General Trading & Contracting Company W.L.L (Smash International) is a leading diversified privately held business group based in the State of Kuwait. Established in 1999 as Smash International General Trading and Contracting Establishment to engage business in trading and contracting sectors and become Limited Liability Partnership Company in the year 2004. Over the years Company transformed from the very humble small trading to a modern organization. Now we are recognized as a diversified business group and spread our business expertise in Kuwait, United Arab Emirates, Qatar, Bahrain, Oman, Malaysia and Germany. 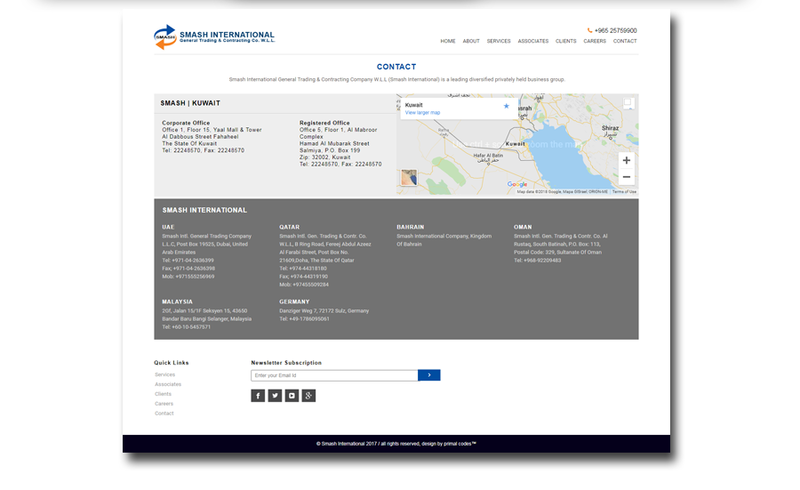 Smash International wanted to grow their revenues and could accomplish that goal by either adding an additional sales person or by adopting an inbound marketing approach to their website marketing process. Hence they approached Primal Codes to develop their profile website inorder grow their business. At Primal Codes Technologies every project has a story. We understand that each of our clients have a unique brand, target market, capabilities and goals. We have gained a perspective that has allowed us to match our client’s needs with the most optimal online strategy while laying a foundation for years of sustainable growth. Primal Codes has always worked closely with clients to find the best solution for their business. Our capabilities are endless within the digital realm. 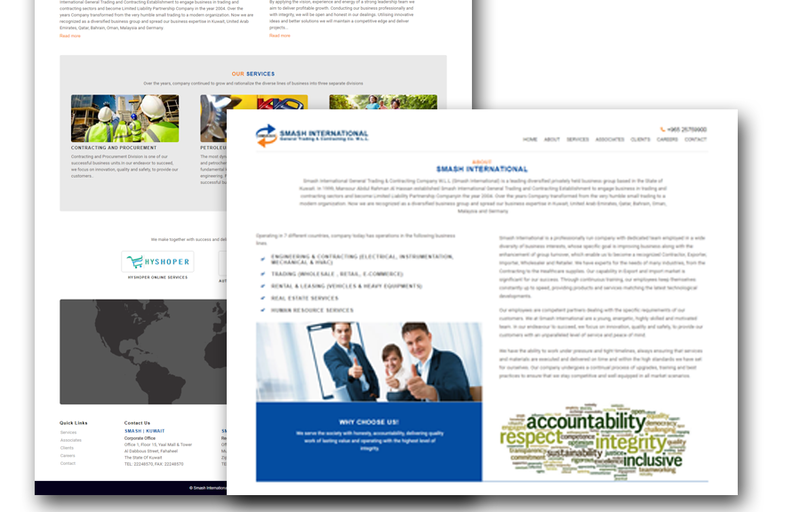 We are incredibly proud to showcase our work and the success our clients obtain through our online initiatives. One thing that remains constant in every project is our commitment and determination to produce outcomes that surpass our clients’ expectations. Likewise Primal Codes helped to implement the strategy and tactics to help Smash International grow their business. We, Primal Codes pride ourselves that our clients have benefitted from their websites and continue to enjoy a return on their investment as a result of the lasting nature of the sites we produce for them. Tell us about your project. We are happy to work for you!